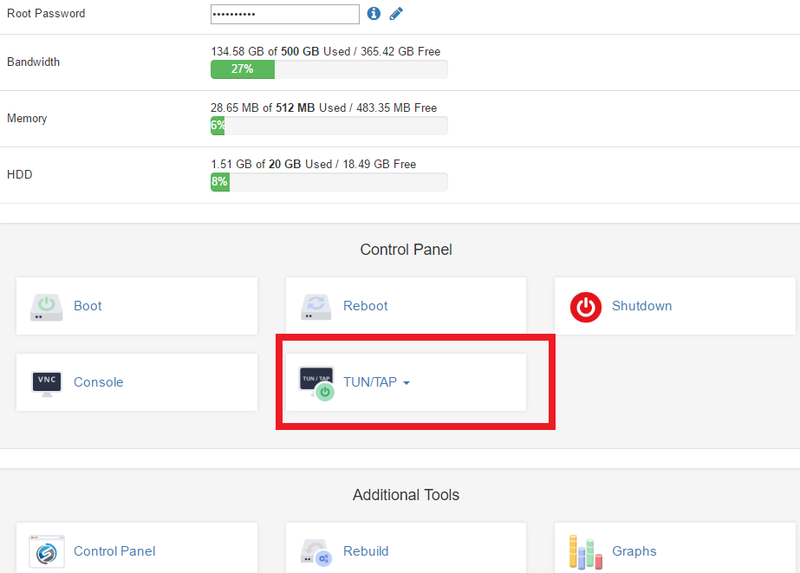 You can enable TUN/TAP on your VPS from ClientArea or from SolusVM VPS Control panel within few mouse clicks. 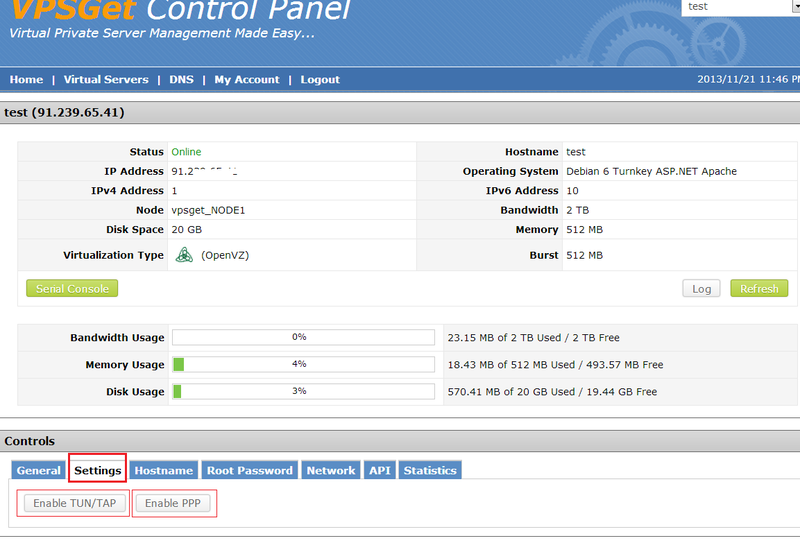 Please note that PPP may be enabled only from SolusVM VPS Control Panel. Don't hesitate to contact us if you experience any issues with TUN/TAP,PPP. Click on TUN/TAP button and select "On" to enable , "Off" to disable. The status of the button will be changed. That's All. Note that sometimes few VPS reboot will be issued so you need to wait several minutes while TUN/TAP become enabled. Use the credentials you got in ''Your Virtual Private Server details" email. If you cant find your credentials create a support ticket to resolve it. NOTE: If TUN/TAP or PPP was already enabled you will see the "Disable TUN/TAP" or "Disable PPP" butons. 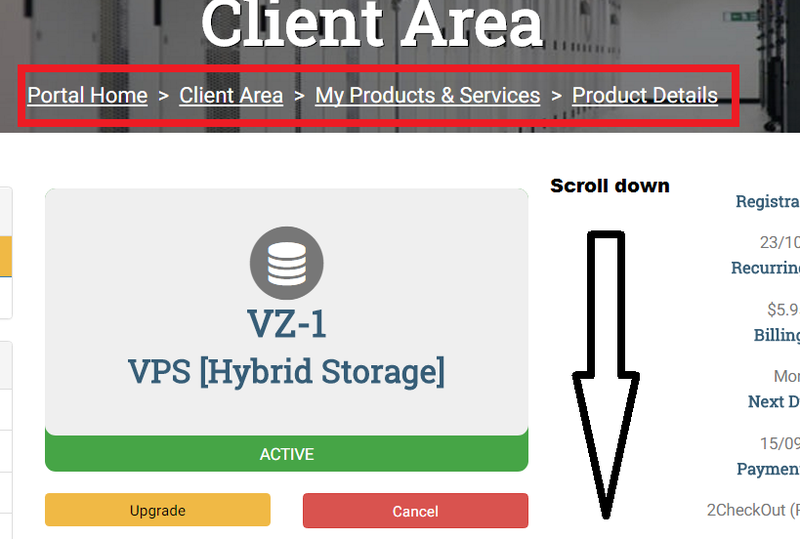 After that you can use OpenVPN or PPP server on your VPS. Also we can note that you can reinstall OS and select pre-made OS template for OpenVPN and for PPTPD.